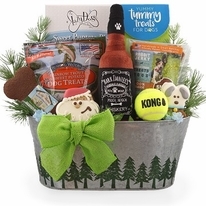 Indulge your favorite Diva Dog with this outstanding holiday dog gift. 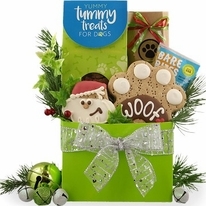 Filled with crunchy gourmet dog treats and a bakery iced biscuit she is sure to enjoy all the tastes found inside this gift. 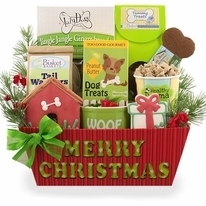 A plush Barkingdales squeaker toy is also included to encourage a time of play as well. 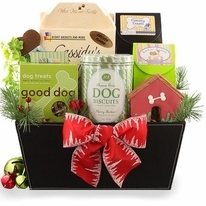 Show your special canine that she�s been good with a special Holiday Diva Dog Gift this holiday season.